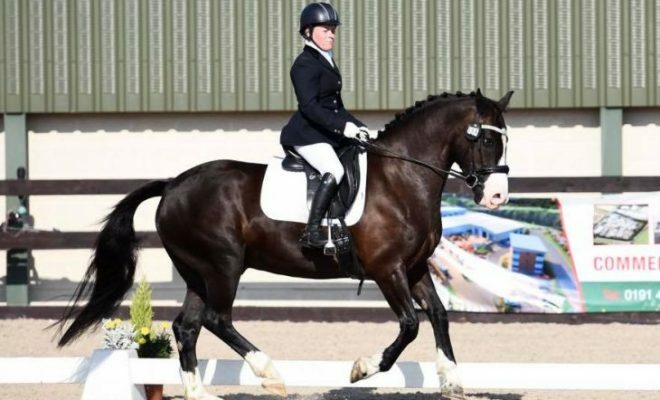 Transitions are included in every dressage test right up to Grand Prix. You should also use transitions during all your everyday schooling sessions, as they form important building blocks of your horse’s training. The key to executing smooth, balanced transitions is all in the preparation. So, how do you prepare your horse for transitions? 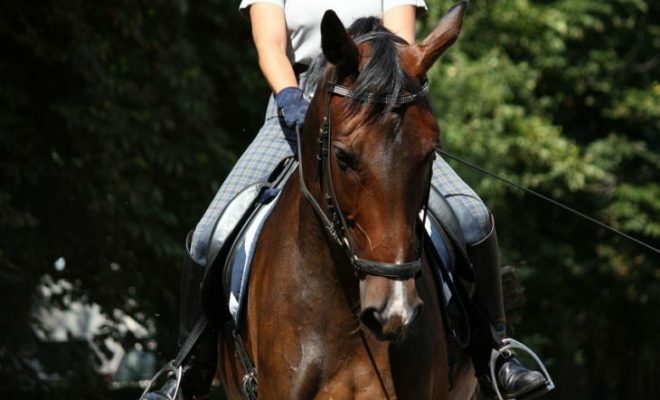 In this article, we look at how to prepare your horse for transitions. But first, let’s discuss what the dressage judge is looking for in a good transition. 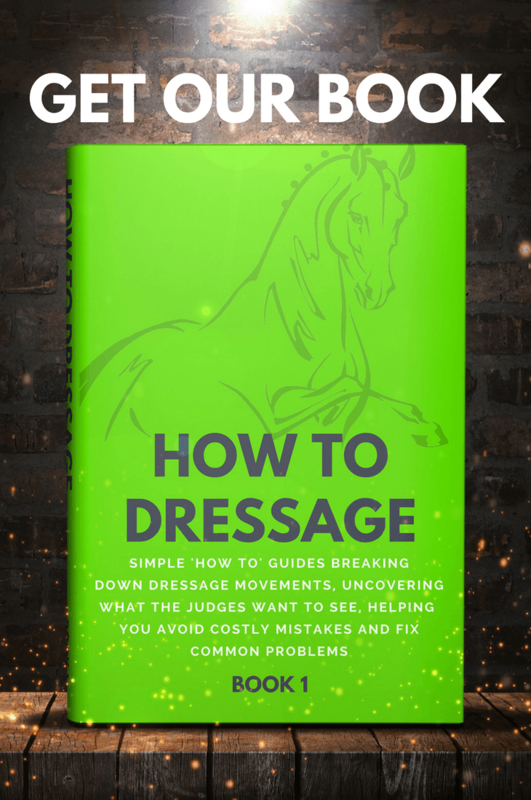 In all dressage tests, transitions are included at strategic points around the arena to allow the judge to see how balanced, obedient, and straight your horse is. Generally speaking, the higher the level of the test, the more challenging the transitions will be. So, at an introductory level, you are only expected to show transitions from walk to trot, trot to walk, and from walk to halt. At the next level, you are required to show canter work, including transitions in and out of canter, but the transitions can be progressive. 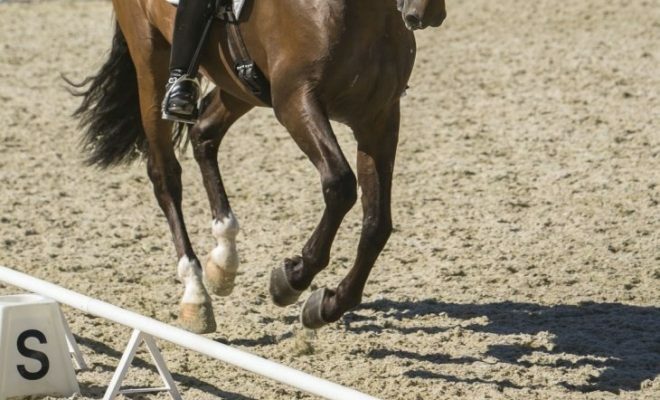 More advanced tests ask for direct transitions such as simple changes or from halt to trot, often on the center line to test for balance and straightness. Upward transitions and downward transitions have similar requirements as far as the dressage judge is concerned. The transitions must be performed at the prescribed marker. All transitions must be obedient, fluent, and smooth with no signs of resistance or tension on the part of the horse. Downward transitions should be balanced and clear. For example, a trot to walk transition should not see the horse slowing down and jogging into a walk, or jogging from the walk into trot or canter. The horse should not bring his quarters in to balance himself. The rider’s contact should remain light and soft, and the horse should not be seen to use the hand for balance. The horse’s mouth should remain closed, and he should not drop behind the vertical, bear down on the rider’s hand, or throw his head in the air. The transition should not be abrupt and rough. That usually happens when the rider does not maintain the impulsion immediately before riding the transition or if the horse is behind the leg. Upward transitions should be sharp and reactive to the rider’s aids but not abrupt. If the horse is behind your leg, the transition will “dwell” and be hesitant. The horse should remain in a relaxed, round frame without throwing his head up and hollowing through his back. The horse’s quarters should remain in line with his shoulders on one track, i.e., he should not become crooked through the transition. Now you know what the judge expects, you can work on delivering it! When riding both upward and downward transitions, preparation is the key to producing something worthy of a high mark. Check that your horse is attentive to your aids by using a half-halt to make sure he is listening to you. If the horse has “gone to sleep,” tap him up behind your leg with your whip. Don’t be afraid to do this in a dressage test; the judge would rather see you being proactive and correcting your horse than doing nothing. Once the horse is paying attention, he should make an obedient transition when you ask him to. Balance is crucial for a smooth and fluent upward or downward transition. Your horse cannot remain in balance if his hocks are trailing out behind him. So, be sure to ride your horse forward so that he is in front of your leg and with his hocks engaged. Use a half-halt to warn your horse that you’re about to ask him to do something, sit up straight, look ahead of you, and then ask him to make the transition. An upward transition should see the horse moving promptly off your leg into the new pace and immediately settling into the new rhythm fluently. 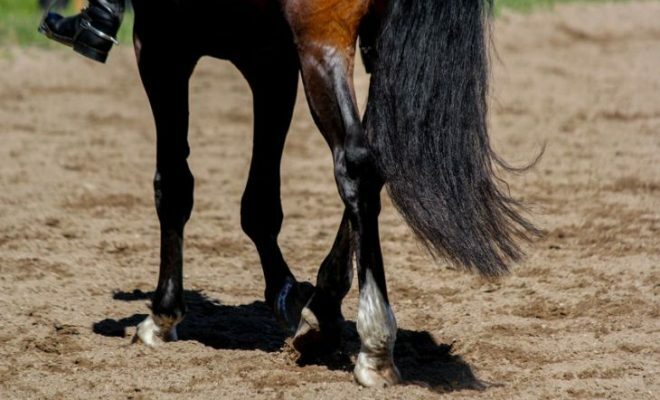 If the horse is working forward into an elastic contact with a good connection through the back and plenty of impulsion from the hindquarters, upward transitions are a breeze! The horse will move seamlessly from one pace to the next without losing his outline or balance. Simples! Make sure that the horse is working forward into the bridle before you ride the downward transition. Use a half-halt to warn the horse of the forthcoming command, and then momentarily brace your back, core, and seat against the movement, keeping your leg on firmly. That will help to “collect” the horse and keep his hocks engaged underneath him. As soon as the horse has made the downward transition, ride him forward immediately in the new pace. 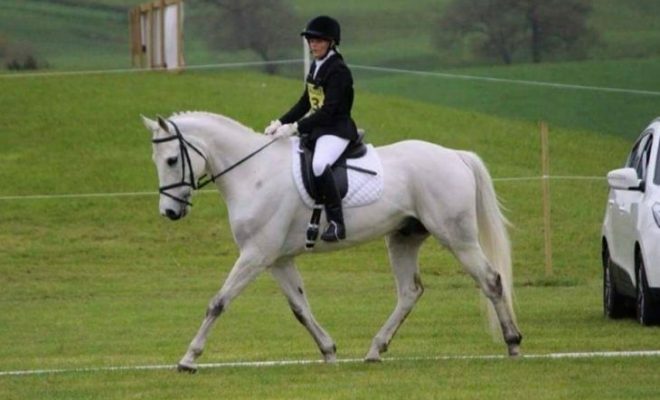 As long as you ride forwards to push the hind legs underneath, even an unbalanced youngster will be able to cope with a downward transition reasonably smoothly. Although you can slightly shorten the horse’s stride just before the transition, be careful that you don’t slow the tempo of the pace, as that could mean losing the impulsion you’ve created, leading to the hocks trailing and the engagement and balance being lost. The key the good transitions is all in the preparation. Ride forward into both upward and downward transitions to ensure that the horse’s hind legs are underneath him. Use half-halts to warn your horse of the upcoming command, and hold him together with your seat, core, and legs. After the transition, ride forwards into the rhythm of the new pace. Do you have problems with transitions? If you do, tell us what you’re struggling with in the comments box below, and we’ll do our best to help you!